Landmark Services Cooperative names Mike Elder as chief operating officer. In this role, Elder will work closely with Landmark’s chief executive officer Bob Carlson to ensure that the cooperative stays true to its mission of providing rural and urban customers with the highest quality products and services. Elder will oversee all cooperative operations including safety, environmental health and the Landmark Logistics division. Elder joined the Landmark team in 2003 following the merger of Landmark Services Cooperative and Union Cooperative, serving as interim chief operating officer and vice president of health and safety for the cooperative. Most recently, Elder played an integral role in the planning process for Landmark’s state-of-the-art grain shuttle loading facility in Fall River, Wis., while overseeing health and safety procedures for Landmark’s 19 locations in southern Wisconsin and northern Illinois. Elder holds a bachelor’s degree in safety engineering from Kennedy-Western University in California and an associate’s degree in fire science from Madison Area Technical College. Prior to joining Landmark, Elder worked as a safety and regulatory consultant with numerous agricultural cooperatives. 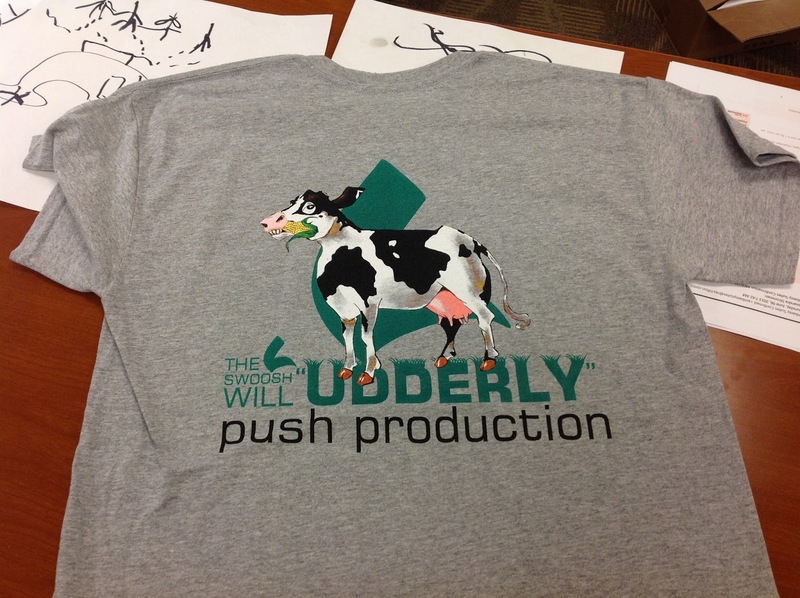 Be sure to stop by our social media station at next week’s Forage Producers Field Seminar to get one of these t-shirts!